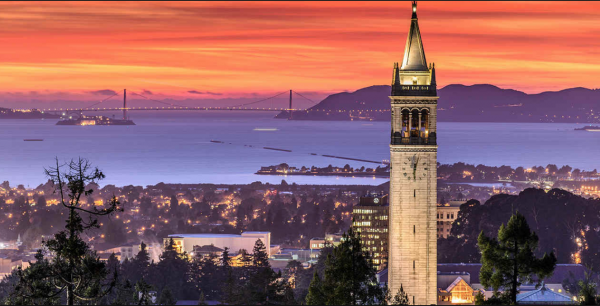 Home to one of the most prestigious universities in the country, Berkeley offers intellectual and cultural stimulation from its campus, which is within walking distance of downtown. Many Berkeley neighborhoods were established in the 1920s, with quiet, tree-lined streets, brown-shingled homes, and lushly landscaped yards. In Thousand Oaks, the original developers preserved ancient oak trees and left rock outcroppings intact. Elmwood, with its thriving business district, remains one of the city’s most sought-after neighborhoods. In Claremont, the Claremont Hotel, a gleaming white Victorian-era landmark, has provided generations of Bay Area residents with a luxurious getaway. Berkeley has long been at the forefront of culinary innovation. Berkeley’s most famous restaurant, Chez Panisse, opened its doors in 1971. Locals flock to the original Peet’s Coffee & Tea location. For residents who like to savor their meals at home, small retail districts sprinkled throughout Berkeley allow them to shop like Europeans, going from store to store to purchase everything they need. Those in a hurry can always visit major grocery stores nearby. Neighborhood green spaces abound throughout Berkeley, from small community gardens to the Berkeley Rose Garden, which boasts more than 3,000 rose bushes. The gem of the area is 2,000-acre Tilden Regional Park, with its miles of biking and hiking trails and the naturally landscaped swimming hole at Lake Anza. If you are interested in buying or selling a home in Berkeley, contact us!